See more objects with the tag royal court, men's clothing, personal adornment, theater, opera, flowering vine. See more objects with the color gainsboro tan dimgrey grey sienna or see all the colors for this object. 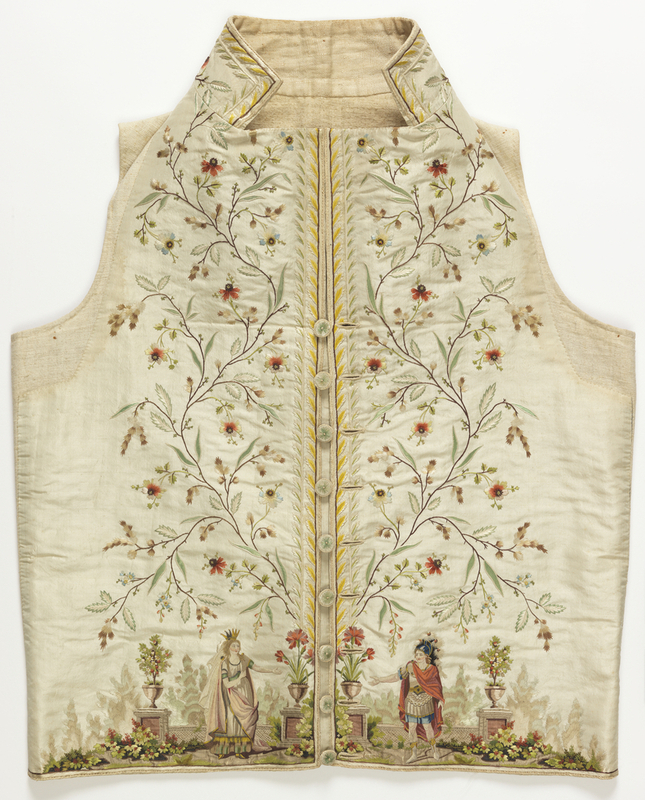 This is a Waistcoat. 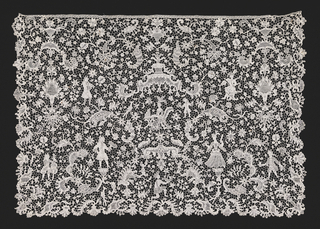 It is dated 1785–95 and we acquired it in 1962. Its medium is silk and metallic embroidery on silk foundation, linen back and its technique is embroidered in silk in knot, stem, and satin stitches; metallic yarn in satin stitch; couched silk cord; appliqué of three plain weave silk fabrics; on plain weave foundation. It is a part of the Textiles department. This handsome waistcoat depicts Dido and Aeneas in a scene from Didon, a popular 1783 opera by the composer Niccolò Piccini (Italian, 1728–1800) based on Virgil’s Aeneid. Set in the 9th-century-BCE city of Carthage, the two main characters stand before a low-latticed wall topped with ornamental urns filled with flowers. The setting evokes the late-18th-century interest in classical forms of antiquity as well as less formal garden settings. 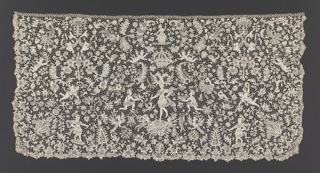 This object was featured in our Object of the Day series in a post titled Inspired by Opera.